Murcott Energy has developed a wind turbine for urban locations, called the Murb. It has novel patented and proven design features that enhance performance in variable and fluctuating conditions, typical of urban environments. 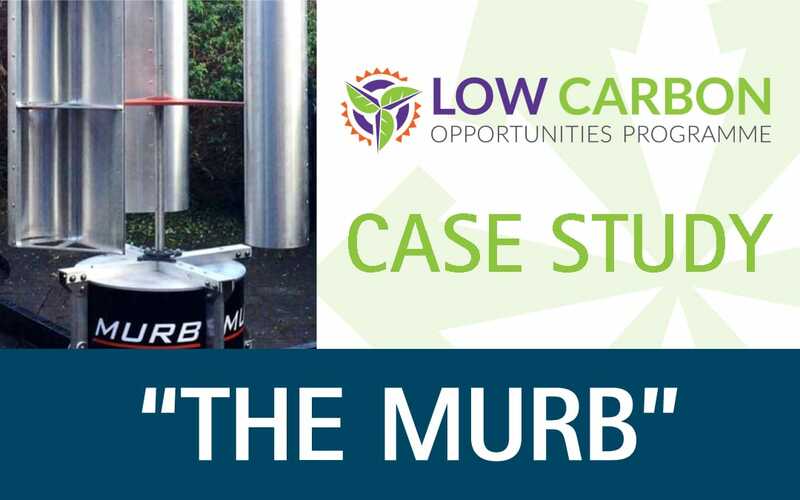 The Murb is primarily an ‘off-grid’ building mounted system, providing ‘distributed’ energy to supplement use by urban, domestic, and commercial buildings. • Provide a quality, cost effective and attractive alternative to fossil fuels. • Promote renewable energy technologies in urban locations as part of the ‘Energy Revolution. With initial tests complete, the Murb is soon to be installed on a building in the Worcester area for longer term ‘Duration’ testing. The tests will inform performance, durability, and compliance with other requirements such as building regulations, noise, maintainability, and safety. The venture is supported by the Low Carbon Opportunities Programme, which is run by Worcestershire County Council and partially funded by the European Regional Development Fund. Murcott Energy received a Business Support Assist, supplied by Isle Utilities, as part of the programme. The specialist advice advanced the business plan, identified opportunities, and presented a plan of action in a Recommendations report. The Low Carbon Opportunities Programme then provided a 45% match funded grant towards the development of the duration model. In addition, through the Worcestershire Clean Tech Innovators Network, the programme continues to support the project with regular networking events. Download the Case Study by following this link.